We are used to creating new year’s resolutions that often fall by the wayside. By using our unique strengths to incorporate guiding principles into our daily activities, we shift our mindset. Challenges become opportunities, goals become reality. Are you ready to give your mindset a makeover? Let’s talk about what that could look like for you! 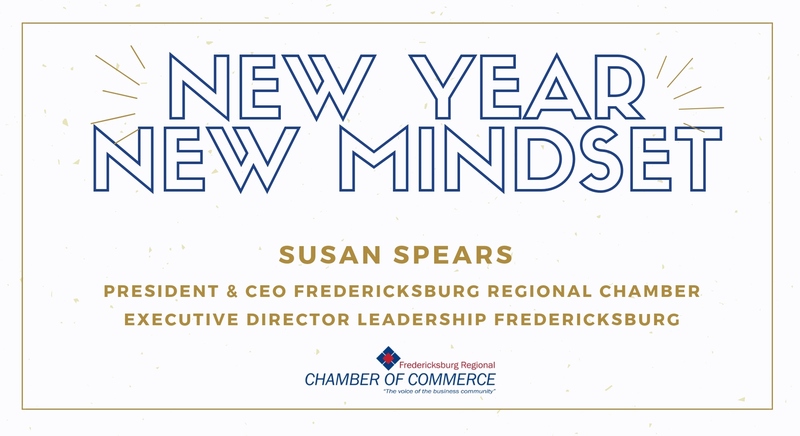 Susan is President and CEO of the Fredericksburg Regional Chamber and Executive Director of Leadership Fredericksburg.